Services - Walters Group Inc.
Walters Group is an end-to-end solution provider for commercial and industrial projects. We are a completely vertically integrated structural steel construction company that also provides a full spectrum of services ranging from budgeting, estimating, design, detailing and construction engineering, through fabrication and erection to specialty finishes and architectural features. Our vertical integration and ability to perform and control all critical operations sets us apart from traditional structural steel constructors. We have unparalleled capability to provide tailored solutions for complex requirements. We deliver quality that exceeds industry standards and provide a seamless experience for our clients from start to finish. Long before a project goes to tender, we invest in building relationships with potential clients and industry partners. We ideally start collaborating at the very early stages of projects while there is opportunity to influence the project design and execution strategy. In the early days of a project, we offer pre-construction services and practical advice. We ask a lot of questions, bounce ideas around, and provide technical advice on what to incorporate into design, architectural and engineering drawings. We often create preliminary models using BIM (Building Information Modelling) or working prototypes to ensure a full understanding of a project and its potential challenges and constraints. Thousands of moving parts must come together on every project. Our project management team keeps everything on track and is always thinking one step ahead, finding solutions before problems arise. Our project management process is ingrained in all our projects to continually seek efficiencies to ensure projects remain on budget and on time. On each project, a Project Manager is the primary point of contact for the client to oversee all aspects of delivery and quality assurance. Each of our Project Managers has strong technical and commercial experience. They come from a steel or construction background so they understand the unique challenges of our industry. When executing a project, we think beyond our own trade. We look at the overall project to ensure that all the trades with which we integrate are working together effectively. Through the integration of models and schedules, we develop 4D schedules. These schedules are a replication of the construction sequence in the model, to provide all parties with a clear visual along with an opportunity to find interferences or schedule refinements. We strongly emphasize client communication and strive to exceed our client’s expectations. In-house engineering and detailing services. We provide full service in-house engineering and detailing services to support all aspects of steel construction. 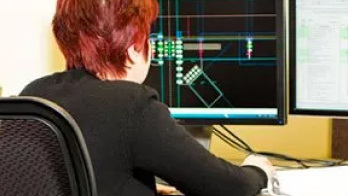 These include pre-construction BIM; Design-Assist and Design-Build and design services; connection design; construction engineering; rigging design safety engineering, and full steel detailing services. Our team of professionals use the latest industry software. Each project is fully modelled in virtual space to enhance our presentation and review capabilities and to provide a seamless interface with other disciplines. 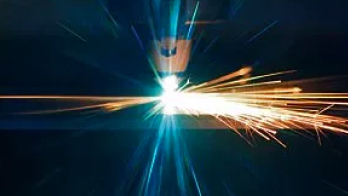 Our digital models drive our manufacturing capabilities, ensuring efficient fabrication and that all components of a project will mesh perfectly on site. Even the best technology is only as good as the people who use it. Our team of talented detailers and engineers are always thinking several steps ahead when working on a project. Our engineers work closely with our fabricators and our Field Services team to understand exactly how the project will be fabricated and erected on site. Keeping a broad view of the project from end-to-end allows us to deliver high-quality projects, on time and on budget. Fabrication is at the heart of what we do. 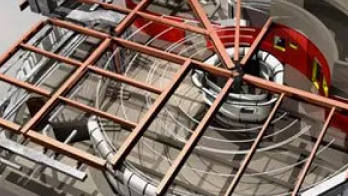 We bring together advanced engineering techniques, state-of-the-art technology and highly skilled people, who always approach fabrication with the end construction in mind. Every product has to fit perfectly with every other, whether we create all components of the project, or we collaborate with other trades. We can produce the highest quality piece of material, but we can only deliver a successful project if everything fits perfectly to create a harmonious whole. Modern blasting & painting facilities including a large 8-wheel shot blast line and blastroom for post-fabrication surface preparation of large fabricated subassemblies, trusses, and plate-work panels. Everyone in our engineering group models and details to the same standards to provide outputs that inform production. We use proprietary software that bundles all of the outputs including drawings and electronic files into our manufacturing software. Within minutes, we go from a 3D model to digital data and CNC files, seamlessly. The very nature of our unique and complex projects drives our culture of continuous improvement. We have a culture of lean manufacturing and are continually improving and integrating our people, processes and technologies to drive efficiency and competitiveness. Our products drive the technology we use. We use state-of-the-art equipment to create the unusual and complex forms that comprise our work. 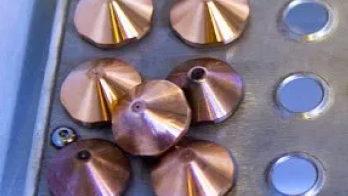 These same tools also add efficiency when we fabricate more straightforward elements. We have a highly skilled team of tradespeople – welders, fitters, and ironworkers. Many of our team members have been with us throughout their careers and have deep expertise in their craft. To support our team, we focus on continuous skills development and training. 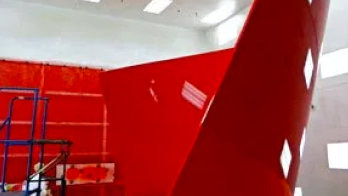 We have a dedicated blasting and paint facility that is climate controlled and can achieve automotive-level quality finishes – providing exceptional finishing with a minimum of maintenance. Moving products from the plant to the job site in a timely way is critical to keeping a job on track. We own a large shipping fleet of tractors and trailers for timely deliveries across North America. We also ship by rail or barge and for large prefabricated jobs, we engineer custom shipping solutions to ensure that there is no bottleneck when moving from A to B. Our Field Services teams perform installation services in both Canada and the United States. While working on site, we continually think about how we are interacting with all other trades to ensure maximum execution efficiency. Our highly trained Site Supervisors and core team of skilled ironworkers work with us on numerous projects. Additional crews are recruited through the Ironworkers Union, and local Union Halls, ensuring that the skillset and experience on site meets both the client’s and Walters’ expectation while supporting the local economies where we work. We have a reputation in the industry for providing very good working conditions and no shortage of tools and modern equipment for our crews. Safety awareness and training remain a top priority. Along with detailed and engineered rigging studies, the best equipment available for project execution is provided to ensure a confident, safe and efficient execution of the work by our experienced teams. AESS is all about the “three Fs” – form, fit and finish. We have been involved in a large number of award-winning projects that feature Architecturally Exposed Structural Steel (AESS). AESS offers high structural standards combined with the capacity to create beautiful designs, details and finishes. In skilled hands, it is the ideal material for exposed features such as trusses, canopies, unique support systems, storefront façades and much more. AESS is all about “the three Fs” – form, fit and finish. At Walters, our use of AESS is guided by our understanding of the architect’s vision and how the public will interact with the finished product. Unique elements that define leading edge architecture. In addition to creating top-quality structures, Walters Group also has the capacity to add the finishing touches that truly make a construction one of a kind. Through our Feature Walters division, we work with progressive architects and engineers to create the unique elements that define leading edge architecture. 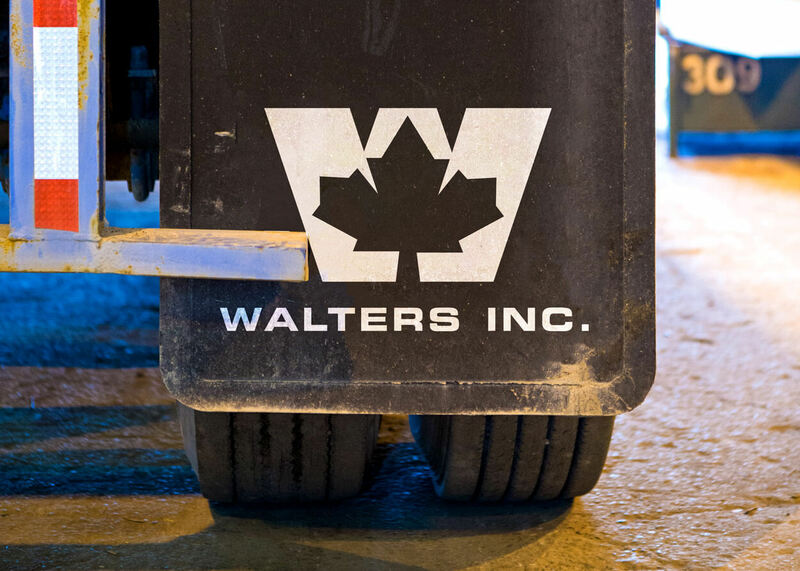 Feature Walters is a fully integrated division of Walters Group.